As a caregiver, you are allowed to take breaks! Respite is the care of your loved one by a certified caregiver, providing relief to you. That person who is taking care of their loved one, 24/7. The biggest benefits of receiving respite are time to rejuvenate, catch up on sleep, pursue a hobby, time to build relationships with family or spouse, time to attend events like sports, arts, or worship, or time to run errands. The Arizona Caregiver Coalition (ACC) administers the Adult Day Health Center (ADHC) Respite program. Our program offers respite at no cost to those caregivers who have never received aid from any federal program. Adult Day Health Centers provide a safe and learning environment for your loved one. Caregiver must live full-time with the care recipient. Caregiver and care recipient can not be receiving any other federally funded respite services. 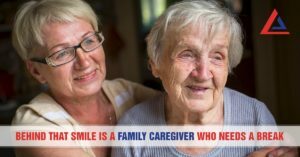 The caregiver is not working outside the home. Monday through Friday from 9:00 am to 3:00 p.m. or email us at CRL@AZcaregiver.net. One option is Medicaid. To see if you are eligible for in-home services and respite care, you can click here, or call 1-855-432-7587. The Area Agencies on Aging also offer services, working with the Department of Economic Security. To find an agency near you, visit azdes.gov. Another option to receive in-home respite care is on a private pay basis. For more information see our Resource page.